Police are appealing for witnesses after a 36-year-old man injured his arm during a suspected targeted attack in Stratford yesterday evening (Wednesday January 31). The incident is believed to have occurred in the toilets of McDonalds on Bridge Street at between 6.18pm and 6.21pm. It is believed that the victim was targeted as part of a dispute. Detective Inspector Liam Barry said: "The victim refused medical attention at the scene and is not cooperating with police. We believe the man suffered a cut to his arm. 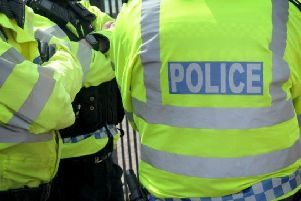 "Given the time the incident happened, there will have been a number of people in the area, either in the shops or making their way home from work. "We're keen to speak to anyone who witnessed the incident. No matter how insignificant it seems, please come forward."